"By Samuel Pepys Jnr, sometime of Magdalene College in Cambridge and of His Majesty's Navy Office, Esquire MA." A humorous account of the Great War from the Summer of 1917 to December 1918 written in the style of Pepys. Boards marked front hinge splitting, edges browning. Accounts of activities, actions and experiences in World War I from contributors such as Sir Philip Gibbs, Wilfrid Ewart, Bruce bairnsfather, R H Motram and many others. Originally published in a slightly different form in 1930. A collection of short stories covering many aspects of the Great War. Home Front, front Line, In Hospital, At Sea and even the lighter side. The contributing authors include John Galsworthy, Edith Wharton, Somerset Maugham, Saki and many others. Published by the Infantry Journal. Washington DC. A revised edition with many sections completely rewritten. A detailed and comprehensive study of small unit actions fought by the German, British, French, and American units in World War I. DIVISIONS VOLUME 2. Facsimile reprint, originally published between 1931 and 1949. This volume provides outline histories of the AEF's divisions, with tables that offer the reader a broad survey of operations in both major and minor theaters. First published between 1931 and 1949. This section was originally printed in two volumes. For the readers convenience a new appendix Posts, Camps and Stations has been added to Part 2. These volumes include the organization and activities of the War Department, the territorial departments, the divisions that did not deploy overseas and a directory of troops covering all organizations that made up the army between 1917 and 1919. BOUND VOLUMES. French text. A privately hard bound collection of historical issues of Paris Match Magazine from 1964. The volumes are: No.1: Aout 1914. La Grande Guerre No.2: Les Tranchees. Hommage Aux Combattants No.3: Verdun No.4: La Victoire Bound in large format red boards, the magazines are all in good condition. The Great War 1914 - 1918. Each volume contains 13 weekly parts as published by the Times bound in red boards with gold titles and the Printing House Square seal on the front board. Topics in this volume include The Intervention of Italy; Hill 60 and the Second Battle of Ypres; The Battles of Aubers and Festubert; The fall of Warsaw; Political changes at Home; Ammuntion Supply and Manufacture. The Great War 1914 - 1918. 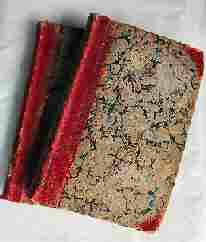 Each volume contains 13 weekly parts as published by the Times, bound in red boards with gold titles and the Printing House Square seal on the front board. Topics in this volume include 40 pages of colour Atlas, Statistics Relating to Belligrent Countries; Railways and the War; The Spirit of ANZAC; Prisoners of War; The Battle of Loos; The Execution of Miss Cavell and Science and health of the Armies.